So, here is one of my favorite cigars and beverage when given an hour or so to relax either in solitude with some great music or better with friends. 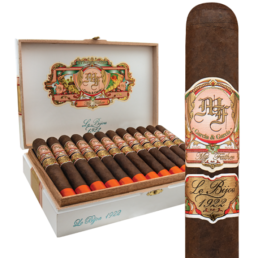 My Father Le Bijou 1922 –(see picture) Cigar Aficionado’s cigar of the year in 2015. The price is between $10-$15 per cigar depending on the size selected. The tasting notes that I can depend on are chocolate covered raisins, cocoa, nutmeg and a richness that is totally relaxing while being intriguing with each puff. Now, keep in mind that is a very individual thing since taste varies for everyone. While the Le Bijou looks very dark, because of its oscuro tobacco wrapper, it is not strong but rather very flavorful which is often confusing to novices. Strong and dark are not the same. You can have a very light-colored cigar that is very strong (e.g. Cohiba). 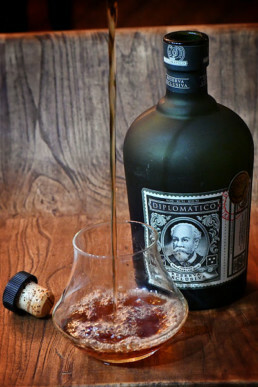 Diplomatico Reserva Exculsiva (see picture). Price is very affordable at $35-$40 per bottle. The tasting notes that I really look forward to are: molasses, caramel vanilla that compliments the LeBijou’s tasting notes incredibly well. This pairing frankly is a real treat for the senses and easily my favorite. This bottle can be had at most fine liquor stores in your area. It should not be hard to find. Mr. Bell – “That is not relaxing Bob”. Now here is the deal. I am going to go out to the humidor and select a proper cigar for you and put on some appropriately paired music (by the way the music was classic jazz). You are going to sit here, smoke it while enjoying the music and you better not bury yourself in your phone and work. A few minutes later Mr. Bell returned with a very long and thick cigar. By the looks of it, there goes 2 hours of my busy time. But I really did not want to get kicked out of my new club and friends. So I proceeded to properly cut and light the stick. I then sat back and just slowly smoked, listened to some great jazz and well started to just think. About 30 minutes later a few other members showed up and we just started to talk. Wow, I think I get it. Smoking a cigar is about really relaxing and community. Besides what else am I going to do for an hour or two while it takes to finish a cigar like this. Mr. Bell returned to the lounge. Mr. Bell put on his trademark broad wide infectious smile as remarked with one of his trademark expressions. Mr. Bell – “That’s right! He seemed quite pleased with himself as he strutted out of the lounge like a proud peacock, obviously pleased with himself. As I look back on that episode, I can honestly say this. He saved my life from a mental standpoint. I learned to enjoy just, well, just being in the moment and enjoying the finer points of fine hand-crafted cigars and beverage pairings with them. I also enjoyed the discourse and community that takes place in a cigar lounge. There is something about cigar lounges and the folks that frequent them. The cigar culture is one of camaraderie, sharing experiences, cigar selections, music, beverages and of course story after story.